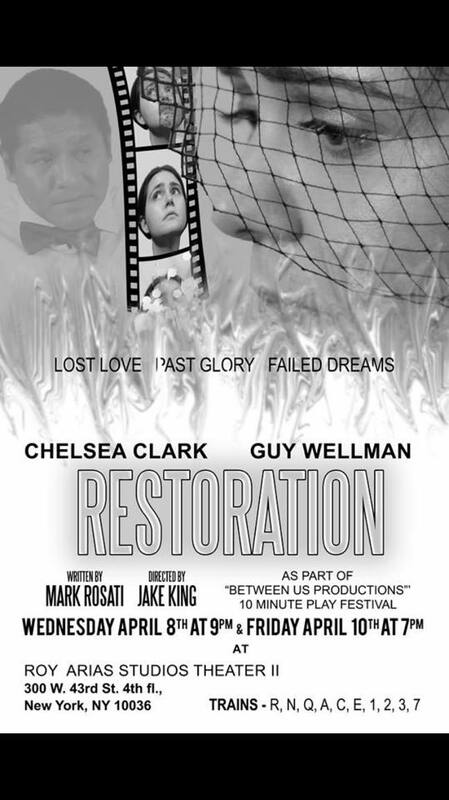 I'm so excited to be back on stage with Chelsea Clark and under the direction of Jake King as we perform for the third time RESTORATION. If you are in the NY area, come to the show. Get your tickets ahead of time. The last time we did the show as part of a play festival, it sold out and there were people sweating it out in the wait line to get in. Thanks again for your support.